When moving a piece that weighs 185,000 pounds, it takes time, patience, and the right equipment. 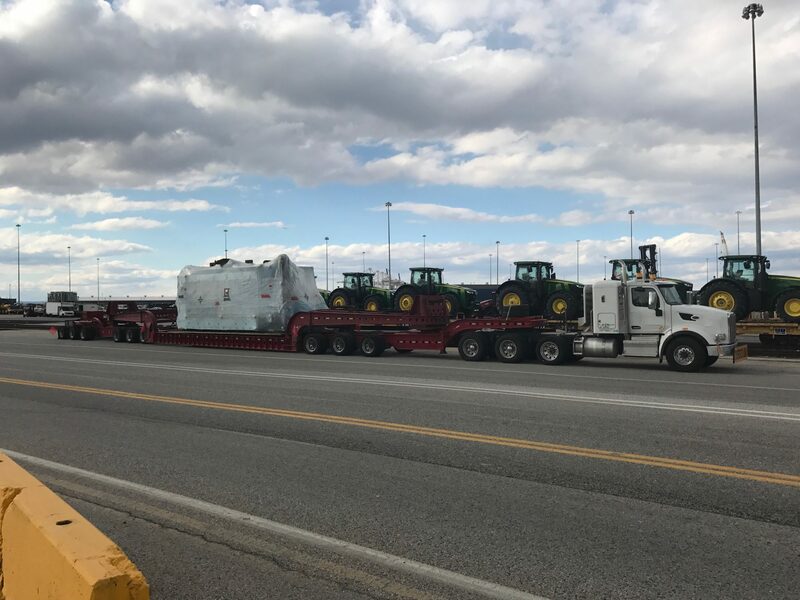 This machine shipped from the Port of Baltimore in Maryland for its home in Michigan on a 13 Axle double drop trailer, taking over 10 days to transit 600 miles. 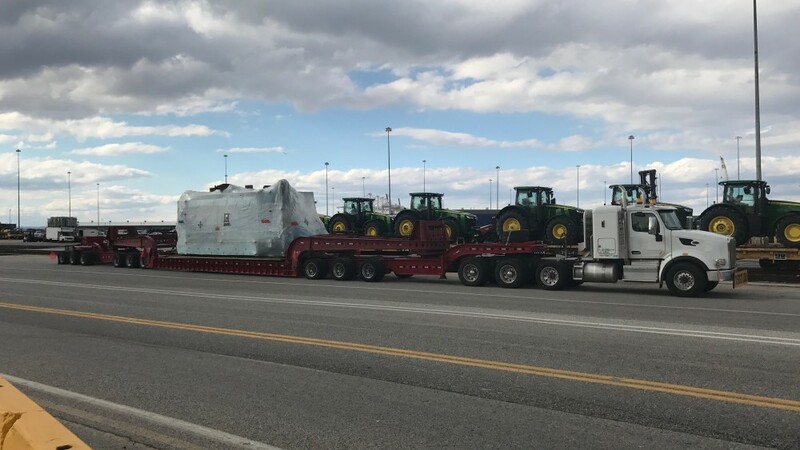 Our project team had to overcome a lot of obstacles to get this shipment delivered, that included frost laws, last minute changes to trailer types to accommodate a change in the center of gravity, weather, and holidays. In the end, they were able to overcome all of the obstacles and get the shipment completed.